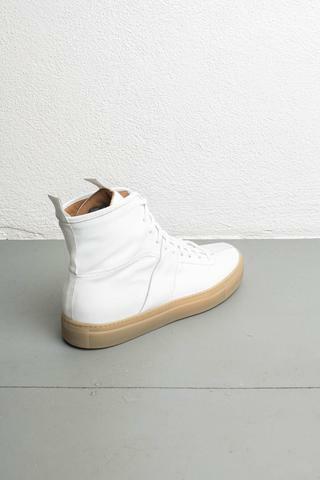 That streetwear impresario that merges wabi-sabi with bare bones beauty to make fluid cotton seem like honored silk has just added high tops to his roster. 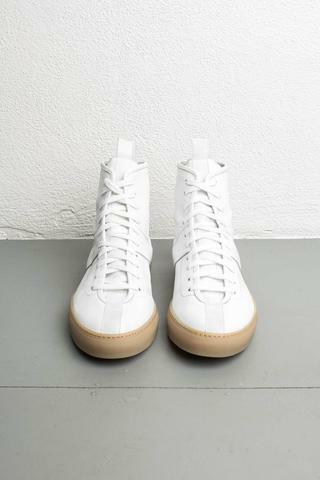 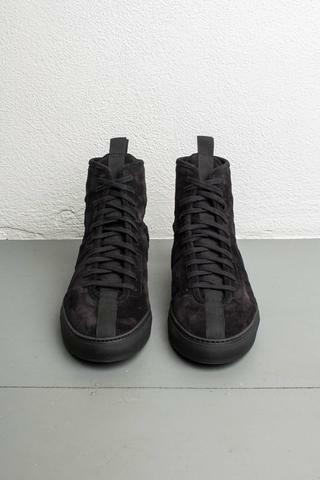 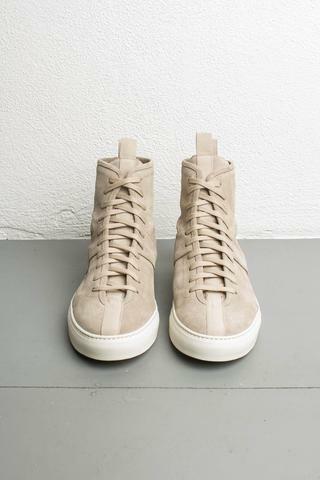 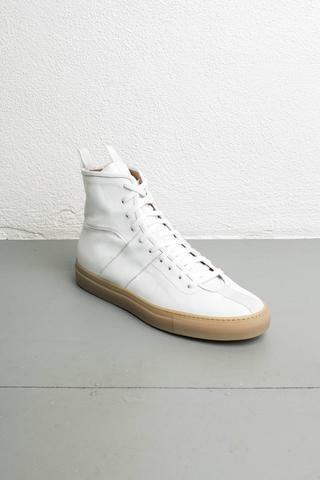 Daniel Patrick, a fave designer of mine, has a cool shoe on tap with his High Top Roamer. 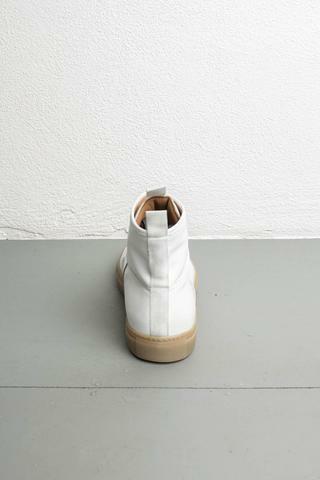 Constructed of leather and calf suede each color way features a textile panelling down the front matching the tongue pull and down the heel as well. 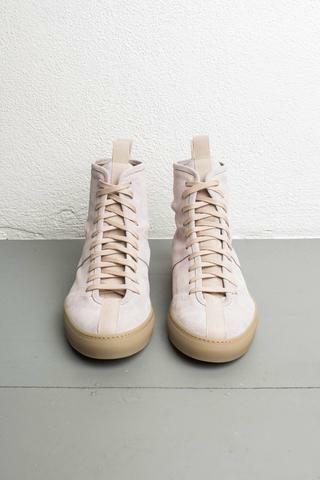 These handmade in Italy gems also come in a range of minimal colors like white with a gum sole, all black with a black rubber sole, desert rose with a gum sole and sand with a white rubber sole. 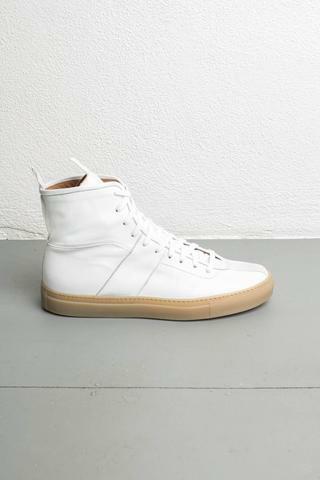 All are available now at DanielPatrick.us.